Manufacturer & Supplier of Race Way With Partition. 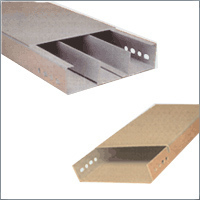 Our product range also comprises of Cable Trays, Perforated Cable Tray and Stainless Steel Cable Trays. Our organization is engaged in offering a wide range of Race Ways With Partition. Manufacturer & Supplier of Race Way With Partition. Our product range also comprises of Cable Trays, Perforated Cable Tray and Stainless Steel Cable Trays. Looking for Race Way with Partition ?